It should come as no surprise that whole milk is healthier than low fat or fat free versions since these are not truly whole foods. The important vitamins found in milk, like A and D, are fat-soluble and therefore require fat to be absorbed and utilized by the body. And since omega-3s are indeed fatty acids, it’s not shocking to learn that whole fat versions of milk have more of them. 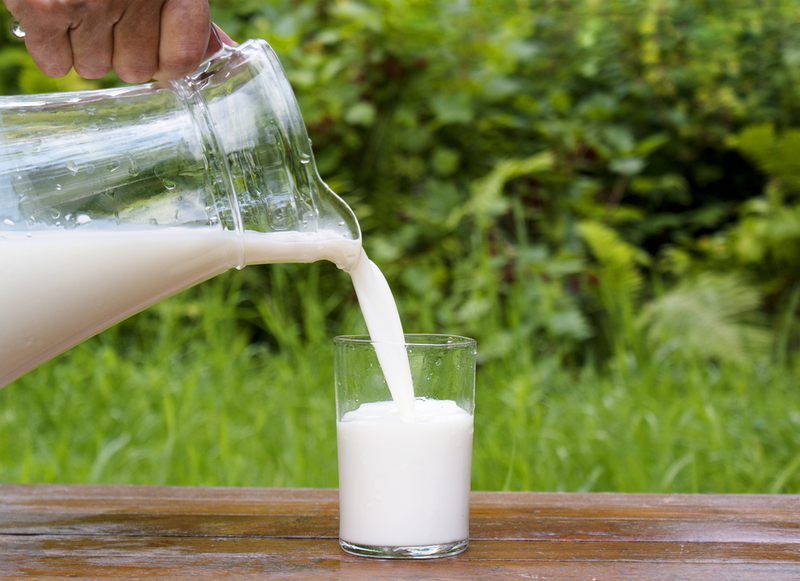 According to Benbrook, the whole organic milk he studied contained 50 percent more omega-3 fatty acids than two percent milk and 66 percent more than one percent milk. The fat that Benbrook and his team isolated and found in abundance in whole, organic milk—omega-3 fatty acids—is present due to the cow’s diet of grass and other forage-based feed. By contrast, conventionally raised cows are fed a diet of grain—mostly corn and soy—which both contain high levels of omega-6 fatty acids. Benbrook added that the ratio is so out of balance because of the huge increase in consumption of soybean and corn oil, which are found in fried foods, condiments, and baked goods. “These common plant-based oils are very high in omega-6s and contain little omega-3s,” he said. This is problematic because Omega-6’s are inflammatory—their function in our bodies is, in part, to promote rigidity in the cell walls, aid in clotting, and create an inflammation response. These are important functions but can be harmful in excess. Omega-6s, tellingly, are also involved with fat storage. Importantly, it’s organic full fat dairy products that contain the most nutritional benefit since organically produced milk is often (but not always) pasture-based. Dairy works well for some people and not for others—it’s highly individual. If you do incorporate dairy products in your diet, two things are clear: It should be full fat and organic for maximum nutritional benefit. Once again that old maxim holds true: Eat only real, whole foods. This latest study is a nice rebuttal to that Stanford study, and points to the fact that a large part of considering foods real and whole has to do with how those foods are produced—after all, cows loaded with corn and soy and confined to feedlots hardly represents a natural system capable of producing healthful results. Love this! Had to comment. Our family consumes only full fat dairy products. My doc. was up in arms about my cholesterol since I am "older" now and continue with whole milk and *gasp* butter too. Alas, my cholesterol levels were super amazing and he was shocked. You see, this is where the bulk of our family's fat intake comes from. We do not eat junk or processed foods so the fat in our diets is whole, natural and healthy. You would never guess my kids still drink whole milk and full fat yogurt and slather butter on their toast. My kiddos are long and lean and sometimes people ask me if I ever feed them! :) Yep, whole milk and real butter are good, better best. Since the day I knew what the word organic meant, I've always tried my best to take all the organics that I can because I know they are all natural and they have all the nutrients that the body needs for growth and development apart from being healthy. I'm a little worried about how we hire Dr. Benbrook to create so many studies to support our campaigns. He's become almost as famous as Dr. Mercola. Our opponents will catch on before long and use it as ammunition against us, won't they? Shouldn't we hire some others once in a while to author these studies just to keep the enemy off balance?